EDMONTON — The Edmonton Eskimos have added two kickers to their roster, announcing on Monday the additions of Swayze Waters and Brett Lauther. Waters comes to the Eskimos after spending training camp and part of the 2017 season with the BC Lions. The 30-year-old Jackson, Miss. 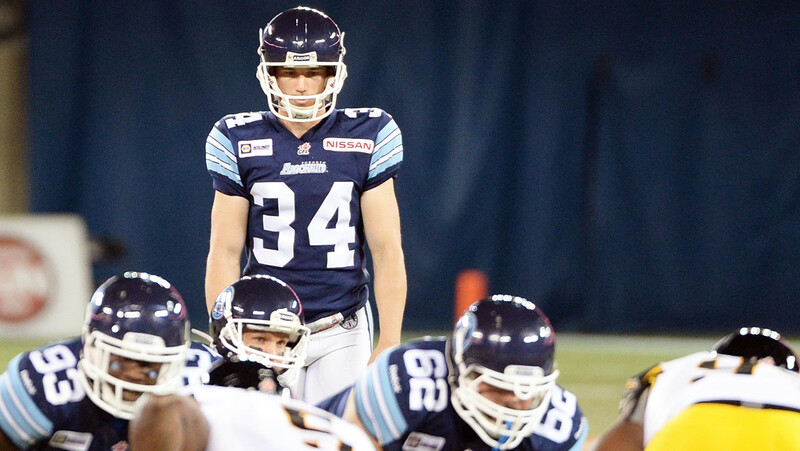 native was the CFL’s Most Outstanding Special Teams Player in 2014 with the Argos after averaging 47.7 yards per punt while connecting on 47 of 52 field goal attempts. After four seasons with the Argos, Waters departed the team following the 2015 season for a try in the NFL, returning in 2017 with the Lions. Lauther, 26, was a seventh-round pick (53rd overall) by the Hamilton Tiger-Cats in 2013. After two seasons with the Ticats, he spent time with the Argos and Riders on the practice roster, including a short stint in Regina this season. The news may hint at a longer absence for Sean Whyte. The Eskimos’ regular kicker has been sidelined since suffering an injury on July 28 vs. BC. The team has also released international defensive backs Ahmad Dixon and Devin Smith.